Car accidents occur frequently and even a minor collision can be incredibly dangerous. There are many common injuries that are sustained after a car accident and often these are subtle injuries and/or ones which do not become evident until later on. 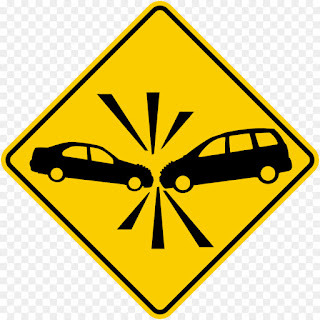 It is for this reason why it is important to be aware of what these common injuries are so that you can look out for them if you or somebody that you know is involved in a collision. Some of these injuries may get better on their own but often you will find that you should seek medical attention and sooner rather than later. Soft tissue injuries refer to damage to muscles, ligaments, and tendons and they are the most common form of injury after a car accident. It will depend on the severity of the injury, but it is a smart move to get checked over by a healthcare professional. Whiplash is incredibly common when the accident involves traveling at speed and then coming to a sudden stop. This causes the neck to whip back and forth which can cause injury to your neck, shoulders, and back. Severe whiplash will require medical attention, and it can take time to fully recover. Blunt force or compression from an auto accident can cause bone fractures in any part of the body, but more commonly this will be to the hands, arms, legs or feet. This can be excruciatingly painful, and it is important to see a doctor who will be able to advise on recovery and treatment. Concussion is a scary injury which is a result of the head being rocked back and forth (it does not always have to make contact to result in concussion). Common symptoms include loss of consciousness, dizziness, ringing in the ears and headaches. If you suffer any of these symptoms, you should undergo a neurological evaluation. Scrapes and cuts usually occur as a result of loose items being thrown around the car interior - these can be minor, but a serious injury may require urgent attention and/or stitches. Chest injuries can be sustained either through colliding with the steering wheel or through the force against the seatbelt. This could be a bruise or in more serious cases a broken rib or internal injury. Physical injuries are the most obvious injury and often what you notice first, but many people suffer serious emotional injuries as a result of a car accident, and these deserve the same level of attention. Those that feel traumatised by the accident and are reluctant to get into the car again after a few weeks should consider speaking to a doctor or mental health professional. You can also file for compensation for both physical and emotional injuries and make a claim through specialists like www.the-compensation-experts.co.uk. Auto accidents can be terrifying, and there are many injuries that can easily be sustained even in a minor, low-speed collision. These are the main ones to look out for, but it is always a good idea to get checked over after an accident for peace of mind.